Since the first day of its being founded, AL-MONASARA has been aiming at supporting our people in Palestine. It concerns itself on a continuous basis with spreading out how largely the Palestinians are of pain and suffer there, and hence, the people of charity do best to support their steadfastness. Herein, Allah says: (…and for this let (all) those strive who want to strive (i.e. hasten earnestly to the obedience of Allah)) Quran 83, 26. AL-MONASARA has opened up the gates of charity to all those who have and are still provided new notions and initiatives to support the steadfastness of our people in Palestine; a donator provides its support on the way it deems mostly appropriate. 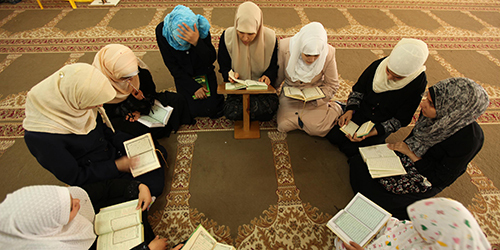 Encourage the efforts to memorize the Holy Quran. 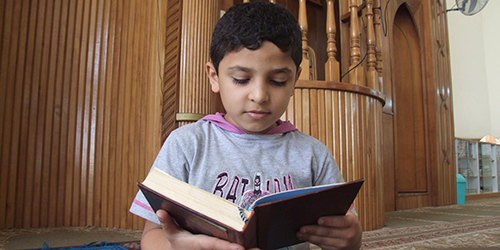 Herein, a well-doer undertook to give an amount of JD 500 for his orphan for each part of the Quran the latter memorizes. Support or adopt the excellent students, particularly those cannot pursue their education for financial reasons. Herein, a well-doer paid out the fees incurred on a number of university graduates so that they could then receive their certificates and look for relevant jobs. This also entails various initiatives to adopt excellent students to study rare and specific academic specialties. Provide a source of income. Herein, a well-doer helped establish a small enterprise to be a source of income to an in-need group of people and to be an attempt to keep their human dignity as an alternative to the monthly assistance. يقول الله تعالى :" وَفِي ذَلِكَ فَلْيَتَنَافَسِ الْمُتَنَافِسُونَ" . (المطففين:26). فتحنا أبواب الخير لكل من بادر ويبادر بفكرة جديدة لدعم صمود أهلنا في فلسطين حيث يوجه المتبرع الكريم تبرعه بالطريقة التي يرغب بها . - تشجيع حفظ القران الكريم ، تعهد أحد المحسنين بمكافأة مالية ليتيمه مقدارها 500 دينار عن كل جزء يحفظه . - دعم أو تبني طلبة العلم المتفوقين خاصة الذين لايستطيعون اكمال تعليمهم لأسباب مادية ، فقد بادر أحد المحسنين بتسديد الرسوم المتبقية على عدد من الطلاب الخرييجين الذين لم يستلموا شهادتهم من الجامعة بسبب ديون متراكمة عليهم للجامعة مما منحهم فرصة العثور على فرصة عمل بعد حصولهم على شهاداتهم . وكذلك تبني عدد من الطلاب المتفوقين لاكمال مسيرتهم التعليمية . - توفير مصدر دخل ، فقد بادر كثير من المحسنين بانشاء مشروع صغير يدر دخلا على المحتاجين وبما يحفظ كرامتهم كبديل كريم عن تلقي المساعدة الشهرية .